BRITTONS BULLPEN SPRING TOURNAMENTS ARE NOW AVAILABLE FOR ONLINE REGISTRATION. 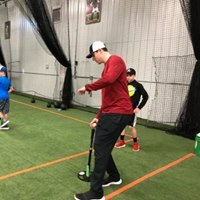 PLAY MORE BASEBALL WITH TWO HOUR TIME LIMITS! 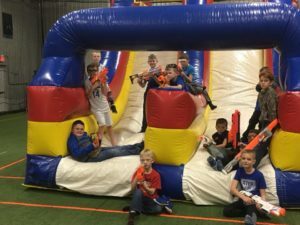 *NEW* NERF WAR BIRTHDAY PARTIES! Get your friends together and let loose at Britton’s Bullpen for your next birthday party! The Nerf Battle will include our Inflatable as the center piece which gives players a perfect place to snipe, and play “King of the Hill”. We will also have other obstacles placed throughout the building to hide behind. There is also the option of using the fog machine, black lights, and music blasting while the Nerf Battle takes place. For more information and pricing visit the Services page or contact Phil to schedule your next party/event. Not only for kids!! 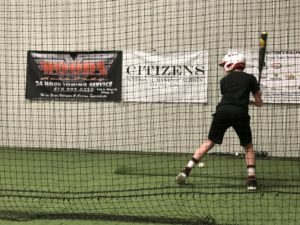 FALL/WINTER/SPRING INSTRUCTION TIMES Monday-Thursday: 3:30p – 4:30p | 4:30a – 5:30p | 5:30p – 6:30p | 6:30p – 7:30p | 7:30p – 8:30p Friday-Sunday: Instructor Schedules Please contact Phil to set up a time to work!